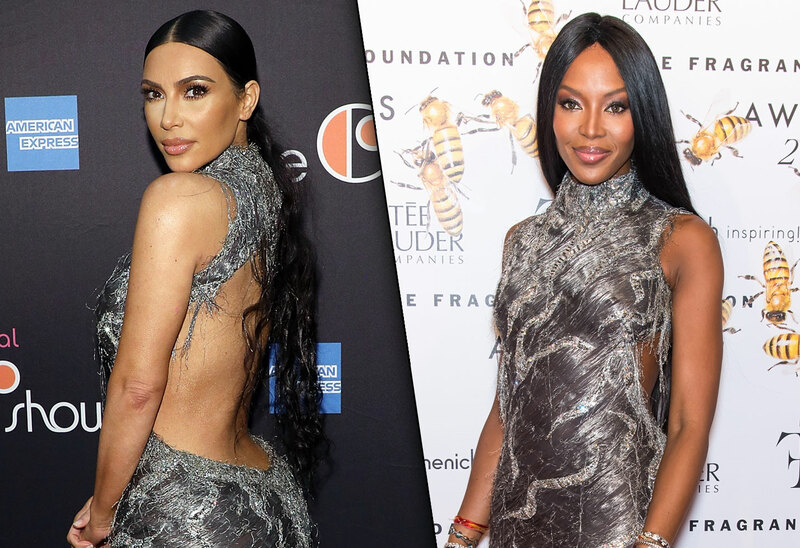 Kim Kardashian was called out by fans for copying vintage looks that were first worn and defined by Naomi Campbell. After weeks of speculation — and some shady posts from Naomi herself — the reality star has finally spoken out about the allegations. Click through the gallery for all the info. Fashion watchers on Twitter first noticed earlier this month that Kim, 38, had recently copied at least five looks that Naomi wore first. That included this sparkling gown she wore to opening night of The Cher Show. Naomi rocked the same vintage dress at the the 2015 Fragrance Foundation Awards. This cheetah print bodysuit was also first worn by the 48-year-old supermodel. The mini-dress she wore to a recent Versace fashion show was also an iconic Naomi look. Sister Kylie Jenner even got in on the fun, wearing diamond sunglasses and a matching necklace just like ones Naomi wore in 1995. Naomi, meanwhile, has been shading Kim and Kylie by posting the original versions of the looks on her Instagram. What do you think of Kim’s response to the stealing allegations? Sound off in the comments!